Ocado, the worlds’ largest online grocery retailer, is using AWS to power its Smart Platform – bringing its disruptive, tech-driven business model to bricks-and-mortar retailers worldwide. In the first video, watch Paul Clark, Ocado’s CTO, reveal how moving to AWS has made experimenting with new innovations much faster and far more cost-effective, helping Ocado developers get ideas from conception to production in under an hour. You’ll also hear how AWS enables Ocado to integrate data from hundreds of microservices into a data lake that powers AI capabilities across the infrastructure. In the second video, Ocado share their approach to building secure, loosely coupled microservices. 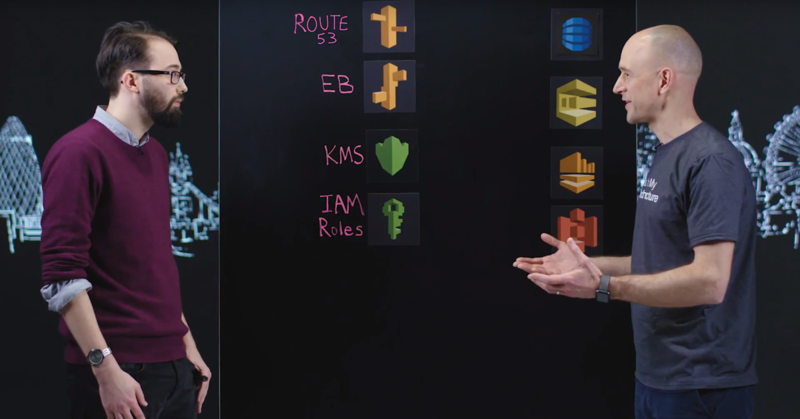 They created a self-service portal for development teams and provide standard template resources for each microservice, including Route 53 records, Key Management Service keys, AWS Elastic Beanstalk environment, Amazon DynamoDB tables, AWS Identity and Access Management roles.